Not necessarily. It could be an emotional flashback, which is out of the person’s control. Where’s the proof in that statement? Yes, feel what you feel when you feel it. 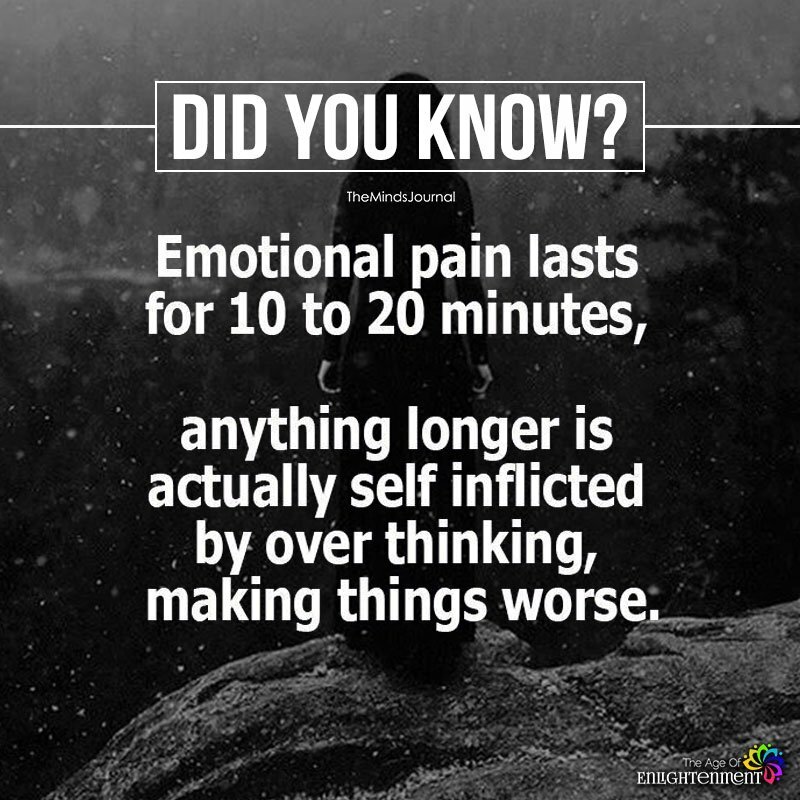 Sometimes trying to shunt those emotions aside prolongs emotional pain or leads one into a depression of unexpressed feelings. Overthinking. A term used by underthinkers. Do math problems in your head or count backwards from 200 to 0 to stop the emotional over thinking loop. This interrupts repetitive thought and also helps you fall asleep! I am a master at self inflicted pain . I over think and my thoughts tend to run wild . I at least recognize it now and am working on changing my thought pattern .